One of the joys of travelling anywhere by kayak is the fact that you have arrived under your own steam. Whether it be a day paddle to a small beach only accessible by water, or exploring rugged wilderness regions, or to a local pub. 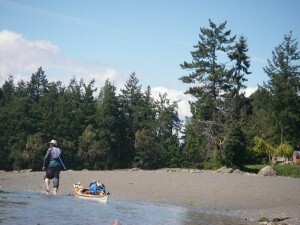 From Salt Spring Island there are a few choice secluded beaches, and places, though fewer where you will feel a sense of wilderness, and of course there are a few local pubs within easy day trip distances. One such pub is at the Maple Bay Marina on Vancouver Island, the Shipyard Restaurant and Pub offers great food and friendly service inside or out on the patio. 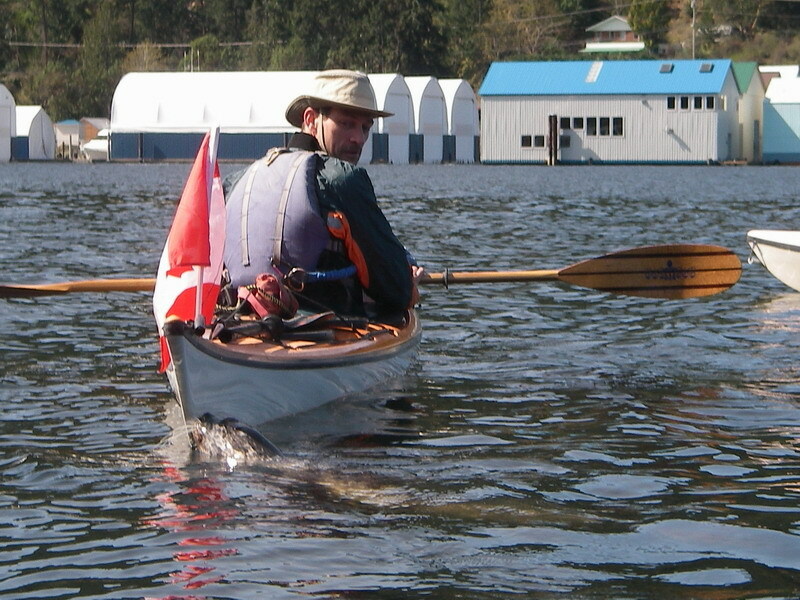 A pleasant fall paddle leaving from Burgoyne Bay on our way to Maple Bay. 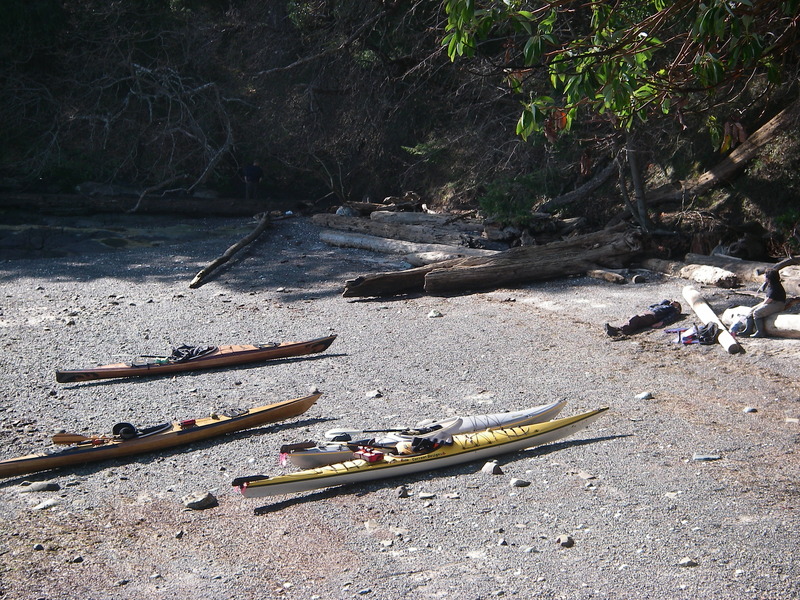 If leaving from Salt Spring Island you have a pair of options as to where to put your kayaks in the water. One is at a shallow beach we call Baders Beach. Leaving Ganges drive up Rainbow Road to the top of the hill and then down again, stay to your left and follow Collins Road until you reach the water. There you will find a beach that is a bit of an issue at lower tides as it is mucky, but at mid to high it is a great launch site. From there, paddle southwards towards Burgoyne Bay and cross at the over-head power lines. 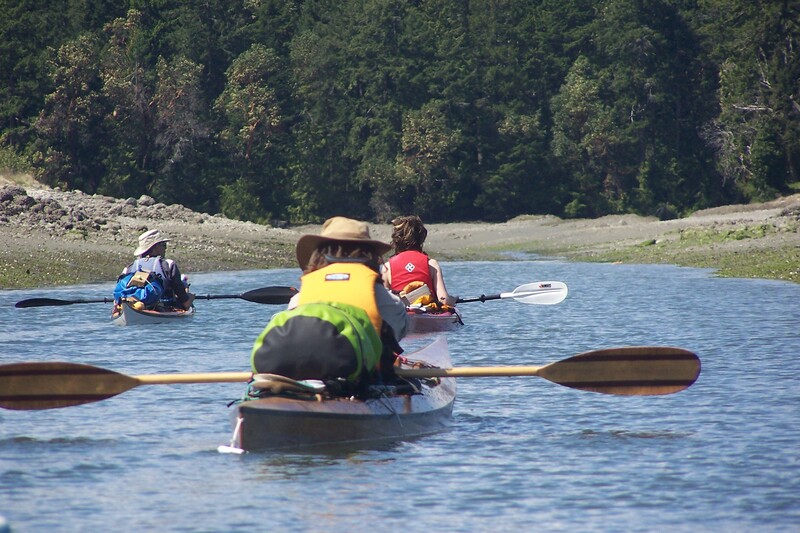 Stick to the shoreline as the bay itself can become bustling with incoming and outgoing floatplanes and boaters. 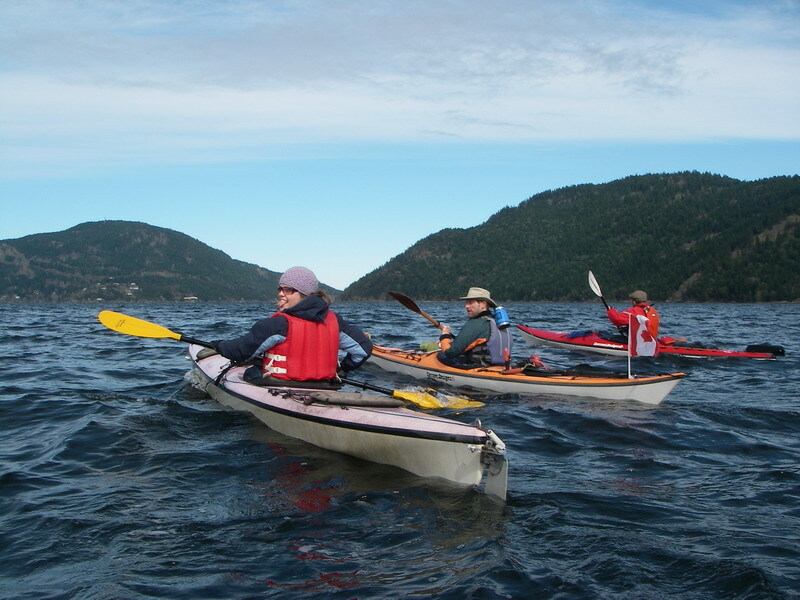 You will pass the village of Maple Bay but keep going into the sheltered alcove of the bay and paddle by the yacht club. To enter the marina stay to the outer limits and round at the end where there are several uniquely designed floating homes. Sadly, at the marina there is little for the kayaker to land upon. There are rocks you can attempt to deal with, but we opt for the dinghy dock. 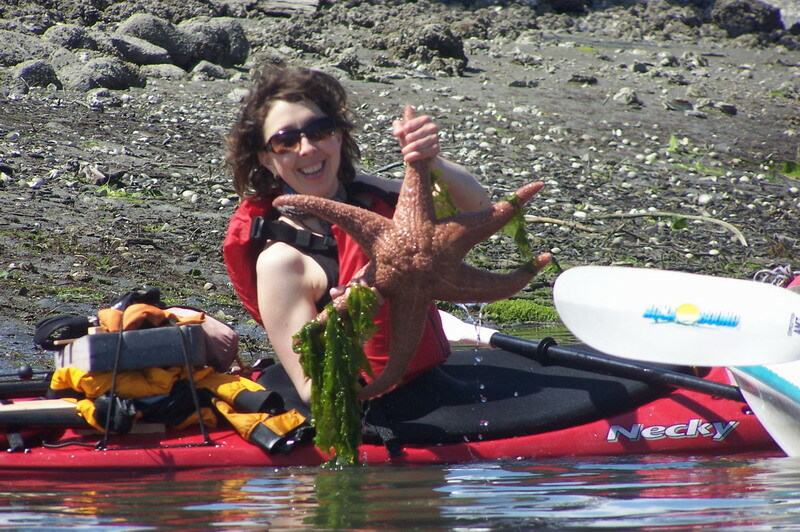 Find a spot with room enough to scramble out of your kayak and there you can tie off to the dock. The second option for the day is to drive from town southward on the Fulford/Ganges Road. So named for the obvious reason that this highway connects Fulford to Ganges. Coming down the hill into the valley with vineyards on either side take Burgoyne Bay Road to its terminus at the Government wharf. Parking can sometimes be an issue here so do your best. I often unload and move the car higher up or in the park parking area. Using this route allows for a completely dry feet experience as you will be travelling from one dock to another. A young seal was curious about our kayaks in Maple Bay. Burgoyne Bay is a gem with Mt. Sullivan on one side and the best known Salt Spring Island landmark of Mt. Maxwell on the other. Cross the bay and follow the southern shore until the crossing at the opening of the narrows. Check your tide tables and don’t enter the narrows. On the opposite shore there can be some turbulence so be mindful of your course. It sounds worse than it is. Once across it is a short paddle up the shore and around the corner to your left into the bay. Crossing from either launch takes a little over an hour with little to be concerned about other than water traffic.